Poker is without doubt one of the oldest card games still played today and most historians believe that the game started being played more than 10 centuries ago. Even though the types of poker games that are played today may appear completely different from their ancestral precursors, the underlying principles of the game have not changed much over the years especially when it comes to the fact that winning in the game depends on the ability of a player to successfully ‘bluff’ the other players. 5 card draw poker- after the civil war, 5 card draw poker was the most popular poker game and the passion was mostly driven by the illegalization of gambling in Nevada, a law that banned all gambling games except draw poker. 7 card stud- as the Las Vegas casino industry continued to thrive and grow, so did 7 card stud poker in the years just before the 2nd world war and for more than 40 more years after it. Texas Hold’em- since being featured in the World Series of Poker as the title game in the 1970’s this has remained the most popular of all the poker games still played to date. It is played everywhere; right from casinos, to bars and even at home so no wonder the game is also popularly referred to as the Cadillac of poker. As more and more variations and types of poker games continue to emerge, professional poker players are shifting away from the culture of playing only one type of poker game and combining them to make mixed games that are deemed more exiting and more challenging to the players. One of the most popular of these mixed poker games is the HORSE poker game. HORSE here is an acronym made up of the 5 individual poker games from which it is drawn. The five games are Hold’em, Omaha Hi, Razz, Stud and Eight-or-better. Since the rules of mixed poker games are usually drawn from the rules of the individual games it is therefore important to understand their individual poker rules and they will be explained briefly below. But first you have to understand poker hand rankings. Poker hand rankings are used to illustrate the order of cards so that players know who has the weakest hand and who has the strongest. Below is a list of poker hand rankings from the weakest to the strongest. Three of a kind- as the title says, this is a set that has at least three cards of equal value. Flush- at least five cards of similar suit but not in sequence. Full House- three cards of equal value followed by a pair. Royal Flush- sequence of five cards in the same suit between 10 and the Ace. The rules of playing Omaha poker are similar to the ones above except that you get four cards and you MUST use two of these to make your hand. 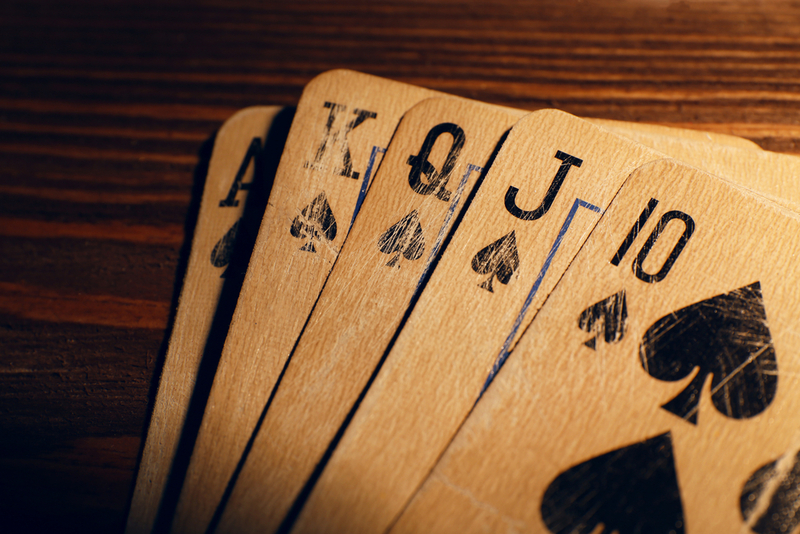 The four cards makes for a much more action-packed game and, in order for it to not become too crazy, it is usually played in either Pot-limit or Limit betting structures. These three games are just variants of the same stud game that has been played for centuries. Stud in HORSE games refers to the 7 card stud game which has already been covered in earlier parts of this article. Eight-or-Better is also known as stud Hi-Lo and is similar to 7 card stud except for the fact that the pot is divided into two at showdown, with one half going to the best ‘low hand’ and the other half to the winning best hand. How the winning hand is divided at showdown. In closing, it is important to always remember that rules of playing HORSE poker are not cast in stone and can be adjusted depending on a number of factors. The cardinal rule here is that all the players must agree on all of the other rules before the game begins.